Playing in front of a large home crowd, Bangladesh managed to get a 2-0 victory over Bhutan in their first game of the SAFF Suzuki Cup 2018. 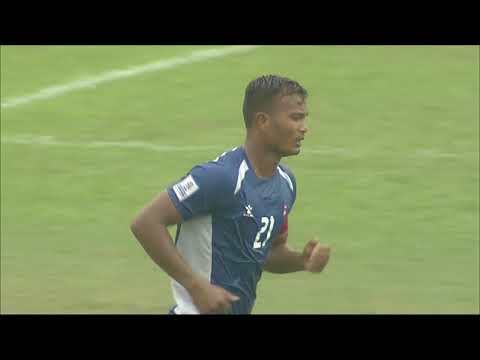 Topu Barman put Bangladesh on top in the third minute of the match after converting from the spot. Despite controlling a significant period of the first half, Bhutan struggled to score against a resilient home side who grew in confidence as the match progressed. It was Mahbubur Rahman, who struck the back of the net, shortly after the second half started. The goal was eventually enough to seal Bangladesh's win. "The boys played exceptionally well today. We scored both our goals at the right time. I thought we deserved to win the game today, they've worked extremely hard up to this point. It was tough but we got the three points," said Bangladesh Head Coach, Jamie Day. Speaking about his side's defensive performance, Day added, "We know that Chencho (Gyeltshen) can score goals but he only had one chance. I'm very happy with the defensive performance today and want to focus on the positives." His team may have not got the favourable result but Bhutan coach Trevor Morgan was happy with his side's effort in the game. "I couldn't have asked for anything more from the players in terms of effort. I think we're lacking a bit in quality, a bit in in-game management. I was really pleased with the performance today. We were under a bit of pressure from the set-plays in the first half, but the longer the game went, the better we could deal with them. We would still have been in the game in the second half, but we conceded a goal immediately which was very frustrating because it was from our goal kick. This is football, the players have to learn from it and if they do, we'll become a better side," he said. Bangladesh will play Pakistan in the next game while Bhutan will go against Nepal.